Synnex Australia has signed hardware and software Internet of Things (IoT) company, Advantech, to bolster business opportunity for partners in the intelligent space. The distribution deal sees Advantech provide industrial-grade hardware and software solutions to the Synnex marketplace spanning embedded computing and data hosting infrastructure. In classifying IoT as a network of concepts and communications constantly evolving, as opposed to being one product that can be bought, Synnex chief executive A/NZ, Kee Ong, said the partnership with Advantech means that partners will now have access to more IoT components to service a range of markets. According to Ong, the partnership will be able to break down the barriers of density in IoT and allow customers and partners to access components or entire solutions to align them to their interests. “It is necessary for the industry to collaborate due to the characteristic complexity of IoT solutions,” he said. In line with Ong, Advantech Australia country manager, Damian Trubiano, highlighted the importance of business collaboration, particularly in the space of intelligent things. “My experience in the industry has taught me that partnerships in business are extremely important – especially as a business grows in size – and the Australian division of Advantech is a testament to that,” he added. Turbiano said the distribution will focus on serving the transport, security, retail and hospitality industries. 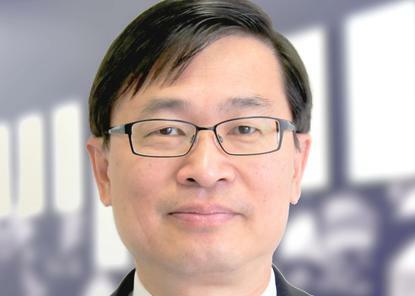 He additionally indicated that as part of efforts to grow Australian operations, Advantech Australia is on the hunt for more local strategic IoT partnerships. IoT services show strong channel potential as connected devices near 8.4 million mark, according to recent figures from analyst firm, Gartner. Findings have revealed IoT services are set to be a big revenue driver for partners in 2017, with the market predicted to grow at an increase of 31 per cent on last year, boosting spending on endpoints and services to almost US$2 trillion. From a local perspective, the firm predicts that the market in Australia and New Zealand will hit 39 million units this year and almost 100 million by 2020. The firm said businesses are on pace to employ 3.1 billion connected things globally in 2017, with industry specific applications set to drive IoT adoption in the business community, as 1.6 billion units are set to be in use by the end of the year.